What’s the solution to Michigan’s medical marijuana conundrum? A lawmaker has a simple answer that’s sure to please the MMJ industry: legalize dispensaries. Republican State Rep. Mike Callton has introduced a bill that would officially allow dispensaries to operate in Michigan. Under the measure – called House Bill 5580, or “the medical marihuana provisioning center regulation act” (yes, the “h” in marihuana is intentional) – individual communities would decide whether or not dispensaries could operate within their boundaries. 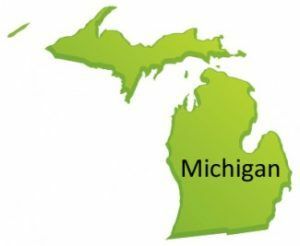 If approved, the bill would galvanize Michigan’s reeling medical marijuana industry and lay the groundwork the future. Callton appears to have used Colorado’s strict regulatory structure when crafting his bill, as the initiative includes a host of measures covering everything from security and record-keeping. It also calls for restrictions on advertising. – Cities and towns could regulate dispensaries as they see fit, require marijuana centers to obtain permits and charge licensing fees. – Individuals found violating state and local MMJ laws would face penalties and prosecution. – Dispensaries could not be located within 1,000 feet of an existing primary or secondary school, though communities could allow exceptions. The bill might win over some lawmakers concerned that dispensaries serve as fronts for illegal drug sales and funnel cannabis to people without medical marijuana cards. It also would provide some much-needed clarification to the state’s MMJ laws. Hundreds of medical marijuana centers cropped up in Michigan after voters passed a measure legalizing the use and possession of MMJ. But the state has cracked down on the industry over the past year, arguing that the law doesn’t map out a strategy for distribution. Many medical marijuana have closed over the past year as a result, and those still operating face huge risks. While the bill would clear up the distribution question, it might not gain much traction in the near-term. The state will remain in a holding pattern as it waits for the Michigan Supreme Court to weigh in on the dispensary issue. Until then, expect most lawmakers to wait on the sidelines. 1 step forward 2 giant leaps backward WTF,this is actual medicine! NON-TOXIC meaning NO SIDE-EFFECTS,LIVER DAMAGE ETC….SICK PPL NEED RELIEF,NOT 2 B F’IN CARDED LIKE-O-KID BUYIN’ BEER!